For more than 35 years, AspenTech has never stopped innovating. What began as an experiment at MIT in the 1970s applying computer automation to chemical engineering, has grown into a global enterprise providing software solutions that enable capital-intensive industries to optimize assets across the design, operations, and maintenance lifecycle. To develop its software and serve customers in every corner of the globe, AspenTech has 36 offices in 26 countries, including major research and development hubs, customer service and training centers, and sales offices. Having globally dispersed teams puts a lot of pressure on AspenTech’s WAN to reliably connect its users to applications. R&D teams in the U.S. and China struggled to share large build files each night, with some transfers taking 20 hours to complete, impairing productivity. To address the issue, AspenTech’s senior director of security and infrastructure, Paul DeLuca, consulted with networking partner, Point5 Networks. With a broad mix of point-to-point VPLS circuits and distributed internet services, many of which were under contract, DeLuca needed a solution that worked with the company’s existing WAN technologies. After assessing several SD-WAN venders, DeLuca and Point5 determined that Silver Peak was the best fit because the Unity EdgeConnectTM SD-WAN edge platform could simply overlay directly on the company’s current network. For IT it’s all about having the speed and agility to keep pace with changing business requirements, whether it’s ensuring excellence in our customer services or responding to new R&D project demands without delay. The key is having a solid network foundation, which the EdgeConnect SD-WAN platform has provided. Working with Point5 and its managed network service provider, Technium, DeLuca and his team deployed EdgeConnect SD-WAN hardware appliances at 18 sites, including AspenTech’s corporate data center and all major R&D hubs, customer support centers, and larger sales offices. The hub and customer support sites each have redundant EdgeConnect appliances for high availability, and each site is terminated with at least two circuits, which may be any combination of VPLS, broadband, or commercial internet. The remaining small offices are served by consumer internet with no other significant network infrastructure. With the EdgeConnect platform, instead of backhauling branch traffic to the corporate data center as in the past, the SD-WAN created a mesh overlay so traffic flows directly from any site to another. This enables DeLuca to maximize bandwidth utilization for both internal applications and SaaS applications like Salesforce and Office 365. DeLuca also takes advantage of the optional Unity BoostTM WAN optimization performance pack to accelerate key applications, which has been especially beneficial to the R&D organization. Now, large file transfers complete in under eight hours, allowing teams on both sides of the globe to enhance productivity. Aspentech is a leading software supplier for optimizing asset performance. Its products thrive in complex, industrial environments where it is critical to optimize the asset design, operation and maintenance lifecycle. AspenTech uniquely combines decades of process modeling expertise with big data machine learning. Its purpose-built software platform automates knowledge work and builds sustainable competitive advantage by delivering high returns over the entire asset lifecycle. 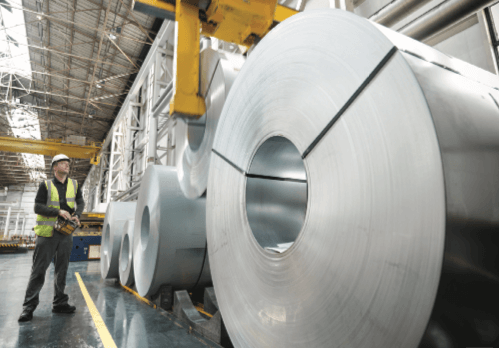 As a result, companies in capital-intensive industries can maximize uptime and push the limits of performance, running their assets faster, safer, longer and greener.